Whatever your age? Whatever your budget? 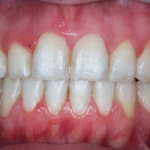 If you want straight teeth….we can help. 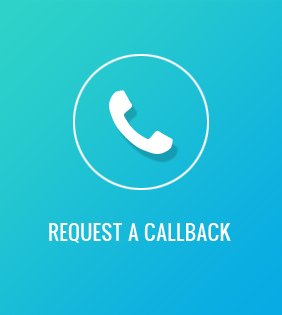 with our affordable & flexible payment plans. 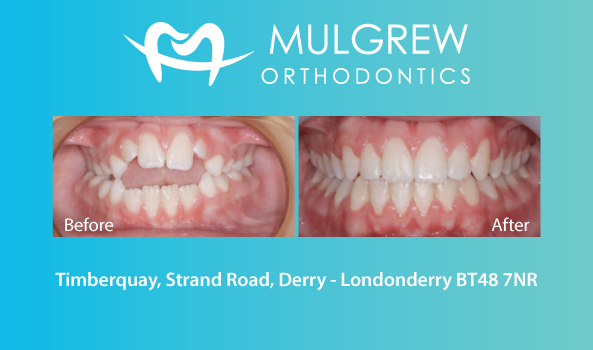 At Mulgrew Orthodontics Derry/Londonderry we are dedicated to creating beautiful smiles for patients of all ages. 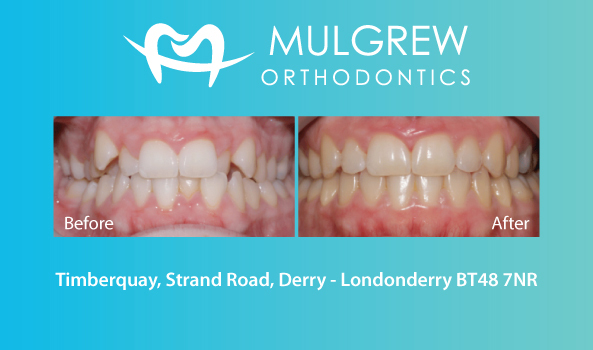 We aim to provide the very highest standard of orthodontic treatment for both private and NHS patients. 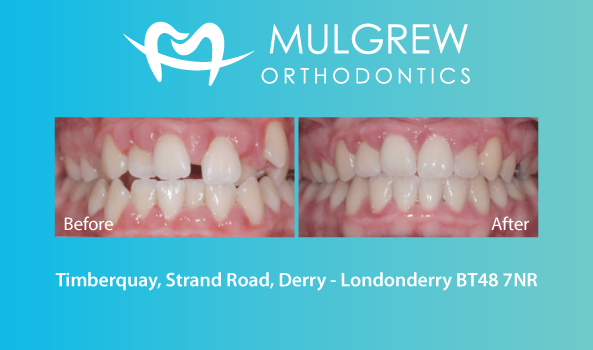 All patients are treated by our Specialist Orthodontist, in our state-of-the-art Strand Road Practice. 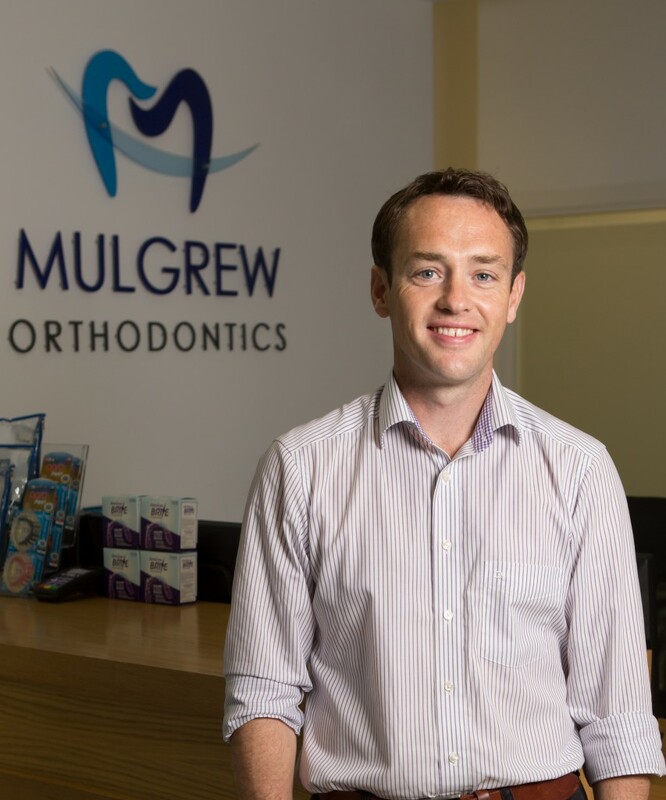 Dr Mulgrew works together with his highly trained orthodontic team to ensure you get that desired perfect smile. 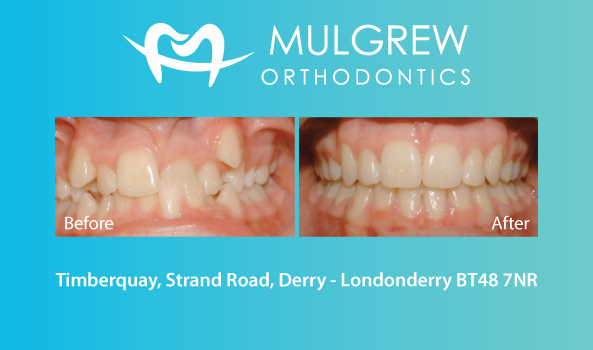 Our expert orthodontic treatments are available in Derry ~ Londonderry, Donegal & across Ireland. 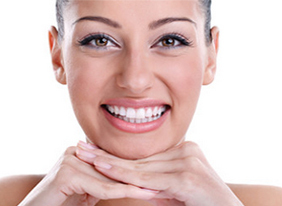 Invisalign offers teeth straightening with nearly invisible braces. 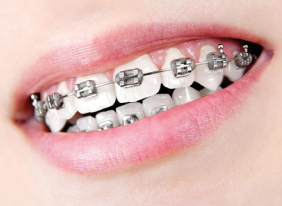 Fixed braces – but a lot less visible. These train tracks are very discreet. A firm favourite – the traditional train track never fails to deliver. 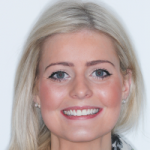 I was very unhappy with my smile as my teeth overlapped and my mouth was over crowded. 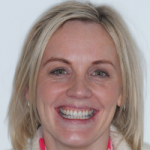 I decided to try Invisalign as I felt clear braces would be better as I am in my forties. I am delighted with the result which took just over one year to complete. I found Brian and all the staff very friendly and professional. A very happy customer. Thank you all. Fantastic professional service. All staff were so friendly and helpful. Brian was so particular and ensured that my teeth were perfect. Would highly recommend Mulgrew Orthodontics to anyone wanting a perfect smile. 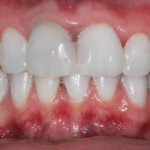 I have always wanted a perfect smile but never wanted traditional braces. Invislign was perfect for me as they were practically invisible and really comfortable to wear. 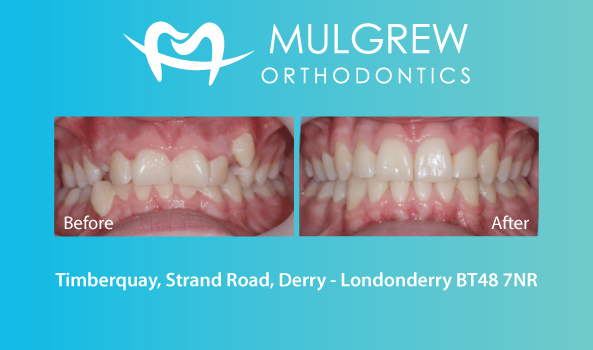 I would recommend Mulgrew’s for anyone wanting that great smile without any hassle. My treatment was finished within the year and i can now smile with confidence. I love my teeth. 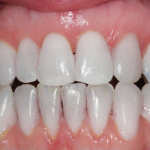 I found using Invisalign to straighten my teeth really straight forward. 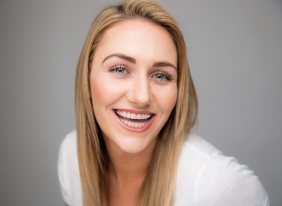 I wanted my teeth straightened for years but didnt want to use ‘tracks.’ This process was easy to use and i would recommend it as a brilliant option to straighten your teeth.